Choctaw is uniquely situated near the junction of 3 major interstate highways – I-35 , I-40 and I-44. I-35 is the major north-south artery with access to Texas, Canada and Mexico), I-40 is the east-west connection to California and the east coast and I-44 accesses St. Louis and the Midwest. Oklahoma City is America’s trucking hub offering overnight service to 5 of the top ten U.S. markets and 2nd day delivery to 99% of the nation. 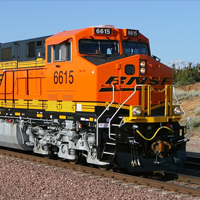 Rail service is provided by Class 1 provider Burlington Northern Santa Fe (BNSF) and several short-line providers. Nearby Will Rogers World Airport provides unparalleled airfreight reliability and non-stop passenger service to over 25 major markets; The Greater Oklahoma City region has 15 commercial and general aviation airports. Oklahoma City is within 90 minutes of the nation’s most inland “all weather” seaport. Combine Choctaw’s valuable central North American location with its multi-modal transportation system, and you get a city and region perfectly situated for business growth. Global companies have found the ten-county Oklahoma City region to be a very profitable location for production and distribution operations. The region is America’s trucking hub offering overnight service to 5 of the Top 10 U.S. markets and 2nd day delivery to 99% of the nation. Over 15,000 common or contract freight carriers service the area, including the full spectrum of national and regional TL and LTL providers. Speed to Market: Ideal for all types of manufacturing, final assembly, warehousing – especially companies requiring time-sensitive ground-freight deliveries to the region and the entire 48 states. We can get your products to market quickly and affordably – in an uncongested, low-cost production location. Approximatly 90 percent of freight moved to or from Oklahoma City moves by truck – with an imbalance favoring inbound. Newly locating manufacturers and distributors have ample leverage to negotiating attractive rates on outbound shipping. 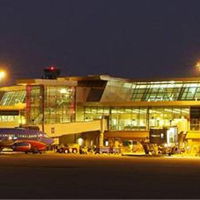 Nearby Will Rogers World Airport is Oklahoma’s largest, providing on-stop passenger service to 25 U.S. markets daily. Air freight services at Will Rogers are provided by FedEx, UPS, Emery, Airborne and Burlington.. Air freight reliability is unparalleled as a result of the region’s climate, which averages 360 “good weather” flying days annually. The region has 15 commercial and general aviation airports. Choctaw is served primarily by Class 1 Transcontinental rail carrier – Burlington Northern Santa Fe (BNSF) with links to other rail providers providing freight access to major trade areas and cargo hubs. The Oklahoma City area rail system has over 4,000 miles of track and several premier rail served sites and industrial parks. Amtrak also provides passenger train service. Oklahoma City is within 90 minutes of the nation’s most-inland all weather port (Port of Catoosa) and 1-day truck access of ports of Houston and New Orleans. 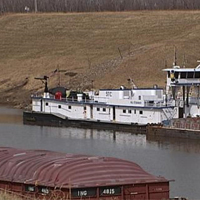 The Port of Catoosa is at the head of the 450-mile McClellan-Kerr Arkansas River Navigation System, linking to the Mississippi and ports of the world.